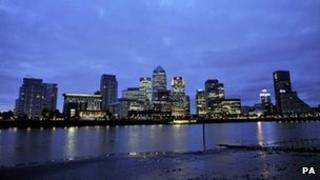 The UK broker ICAP has been fined $87m (£54m) for its part in the long-running Libor interest rate fixing scandal. In addition, three of its former traders were charged in New York with several counts of wire fraud. They face a maximum penalty of 30 years in prison for each count if convicted. Libor rates are used to set trillions of dollars of financial contracts, including many car loans and mortgages, as well as complex financial transactions around the world. Regulators have been investigating manipulation of Libor inter-bank lending rates since 2012 in the wake of Barclays' £290m ($454m) fine by US and UK authorities. A string of international banks have been implicated in the affair, and several criminal charges have been brought against traders. In a statement, Michael Spencer, ICAP's chief executive, said: "We deeply regret and strongly condemn the inexcusable actions of the brokers who sought to assist certain bank traders in their efforts to manipulate YEN Libor. Their conduct contravenes all that ICAP stands for." Mr Spencer added that none of the three individuals charged - Colin Goodman, Daniel Wilkinson and Darrell Read - remained with the firm, and others who may have been involved had already left the company. The US Department of Justice said in a statement: "In exchange for bigger bonus checks, the three defendants undermined financial markets around the world by compromising the integrity of globally used interest rate benchmarks." Email exchanges - some with the subject heading "Suggested Libors" - between the three men were disclosed in court filings to support claims the men orchestrated attempts to fix the rate. Mr Goodman, referred to in emails as Lord Libor, allegedly writes of needing to fix the three-month and six-month Libor rates. One email says: "Morning Lad. On the scrounge again, if possible keep 3m [three months] the same and get 6mos [six months] as high as you can. "My guy has an enormous fix on Wednesday in 6mos and will want it as high as possible. Waiting for my credit card to get returned to me from a drunken night out bowling, but will be supplying you with copious amounts of curry on it's imminent return. Cheers". Meanwhile, Mr Read was said to have told a trader that Mr Goodman was "ok with an annual champagne shipment, a few p*** ups... and a small bonus every now and then". In another email, Mr Read told Mr Wilkinson: "Dan this is getting serious [UBS trader] is not happy with the way things are progressing... Can you please get hold of Colin and get him to send out 6mos libor at 0.865 and to get his banks setting it high. This is very important because [UBS trader] is questioning my (our) worth." In February 2013, Royal Bank of Scotland (RBS) was fined £390m ($610m) by UK and US regulators for its part in the Libor scandal. The UK's Financial Services Authority fined RBS £87.5m, while about £300m was paid to US regulators and the US Department of Justice. Tracey McDermott, director of enforcement and financial crime at the UK's Financial Conduct Authority, said Libor-fixing "cast a shadow over the financial services industry" and the findings showed individuals having "a cavalier disregard" for regulation and the interests of markets. She said ICAP's failings in "culture and controls" allowed the misconduct to flourish. In July this year, the British Bankers' Association (BBA), which collates and publishes Libor changed how the rate is set, as a precaution against any repeat of the scandal. The BBA said publication of banks' individual submissions would be embargoed for three months to avoid "manipulation".